The latest and greatest IC updates. Today, I went to the Limmud session called "Creativity at Your Fingertips." This session was about using Adobe apps on iPads to create visual tools to stop bullying. The program was in partnership with the Malala Fund and the creators behind the movie "Bully." My friends and I used these tools to create a visual story about a fictional girl that was getting bullied. It was so much fun using the apps and I loved that a corporation like Adobe is using its powers to give back to the community! It was a great experience and I would highly recommend that everyone visits the Adobe Creativity room! IC 2016 participants enjoyed a fun-filled day of Limmud programming! B'nai B'rith Girl teen song leader enjoying programs with friends. Photo by Mike Kandel Photography. As we come to the close of our BBYO Leads Day, we have time to reflect on all of our programs, events, and learning opportunities from the past days. Teens, speakers, staff, and all other attendees have been inspired through social justice causes and advocacy sessions. We learned about globalization, Israel, leadership, marketing and communications, philanthropy, political engagement, relationship building, service, chapter and program development, event management, design and more with experts from organizations and companies across Baltimore! Now, more than 2,400 of us are coming together for a Shabbat like no other – between tonight and tomorrow morning, we have several oneg options, including a Bro-neg sponsored by Alpha Epsilon Pi Fraternity and Dough-neg where teens can make challah for charity with the organization Challah for hunger. With over 23 different Kabbalat Shabbat and Shabbat service options (all teen-led, of course), there are plenty for teens to choose from and find a great spiritual and engaging fit! And, BBYO is about to break a Guinness World Record for the largest Shabbat dinner ever! @BBYOInsider and all of our social media presences will go off-line in observance of Shabbat. We’ll be back at Havdalah tomorrow night, and you can re-join us live at that time and then later for streaming of BBYO Honors: State of the Order and Awards Gala. We wish you and your communities a happy and peaceful Shabbat from Baltimore! IC 2016 Opening Ceremonies. Photo by Jason Dixson Photography. Teens Are Loving the Leadership Labs! 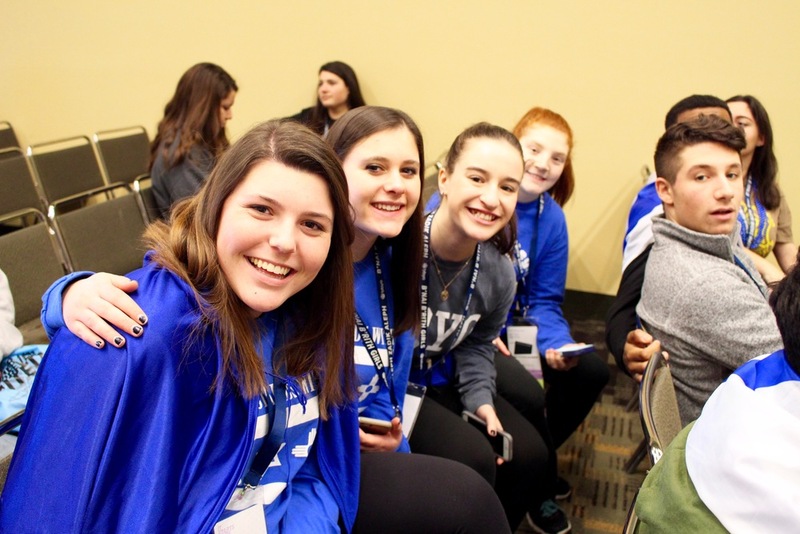 Check out some of the pictures below to see what BBYO teens have been up to during Leads day and in their leadership lab sessions! Meet Gil Katzir from the Israeli Delegation! Gil Katzir from Israeli is excited to be at IC 2016! 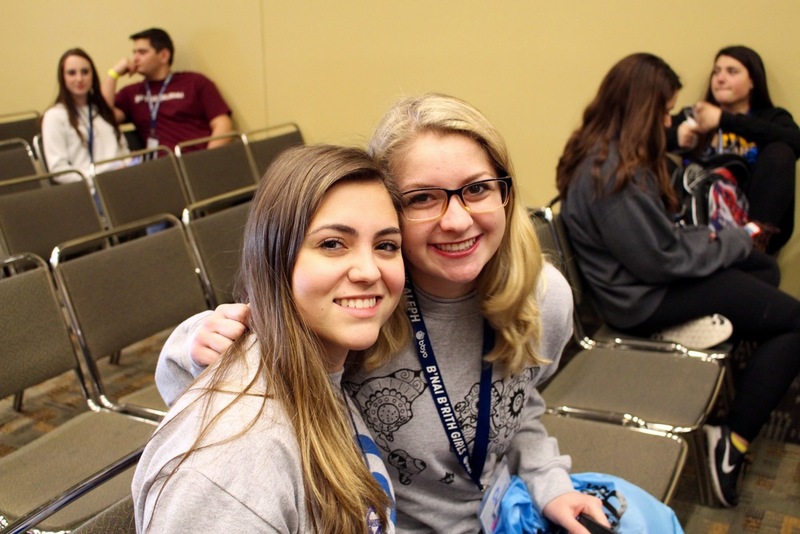 How did you hear about BBYO? I'm from Maccabi Tzair and it's like BBYO. We are the delegation from Israel, and every year delegations of BBYO travel to Israel to meet our chapters. We create a connection, and about 27 of us came this time. How many years have you attended IC? This is my first IC. Every year, there are about 100 Israeli teenagers who want to apply and go. We have to go through a series of tests, including English testing. Every year, our delegation has gotten bigger and more Israeli teens are getting to experience what I am this year. What is your favorite part of IC so far? Wednesday morning in Shacharit has been my favorite. It was so amazing to see all these Jews from different countries know the same songs and prayers. It shows our connection as a movement and a people. It was an amazing experience. I'm excited to see Jason Derulo perform! I'm also very excited to meet new friends from other countries and make connections with them. If you were able to come back next year, who would you want the performer to be? I would really like it to be Chris Brown or Enrique Iglesias, but my number one would be Adam Levine. Leads Day is an event I've been excited about since I got the steering assignment last year. I went to both Impact summer programs and really wanted to use my knowledge of activism and advocacy with the rest of the people in BBYO. Stephanie Margolis and I led a session called Grassroots Advocacy where we worked with StandWithUs to teach effective methods of deflecting anti-Israel movements on campus (AKA Defense Against the Dark Arts). StandWithUs showed the group how to disarm anti-Israel arguments and tell the difference between an argue net for human rights and anti-semitism. Leads Day was a really interesting canvas to show members, especially younger ones, how to bring community service and advocacy back home. There was a lot of information about Israel and about movements like BDS that I learned from my session, which I can now bring back home to my chapter and work with them to make our community a better place. This was a really important experience that I'm so honored to have experienced. The team I worked with was fantastic, the Administrative Assistants were attentive and helpful, and the whole environment was very educational. It's definitely an experience I would recommend for any Aleph or BBG apply for. Choose Your Own Leadership Adventure with BBYO Leadership Labs ! Today is BBYO LEADS Day- a program immersion day that offers nearly 30 leadership labs with organizations across Baltimore. Teens are given the opportunity to learn about whatever interests them. While some chose to dive deeper into exploring advocacy, civic engagement or education, others spent their day covering event management and design or marketing and communications. Andie Mermelstein and Jaclyn Finkelstein from Gold Coast Region at the Chapter Excellence Leadership Lab. From learning about Israel with guest speakers like Nitzan Ben Shaya from the Maccabi World Union, to engaging in discussions about LGBTQ inclusion with representatives from the organization Keshet, teens are having meaningful experiences about relevant topics. Leadership Labs about chapter and program development encourage teens to be catalysts for change in their regions back home. Some participants were able to visit Civic Works Real Food Farm to gain insight about food sustainability. Additional sessions involving conversations about globalization, human rights, and philanthropy inspired teens to be change agents. There are even programs about political engagement and social entrepreneurship. Transgender model and activist, Geena Rocero, engages teens in a question and answer session at the LGBTQ Inclusion Leadership Lab. The many BBYO Leadership Labs offered at IC 2016 are enabling teens to lead their communities and expand their horizons! Good morning, Baltimore! The energy heading into our first full day of IC 2016 is at an all time high. We began the day with a combination of our world's most prominent and most emerging leaders. The JEI Songleading Track, along with Happie Hoffman and Eric Hunker, led us in Lord Prepare Me, which set the tone for a morning of inspiration and learning. We kicked off the morning with Daniel Lubetzky, the son of a Holocaust survivor, and the CEO of KIND Snacks, whose call to action was to treat all people with kindness in every endeavor. Teens were excited to hear from Gideon 'Giddy' Lichtman, retired U.S. Air Force Pilot and founding member of the Israeli Air Force. Photo courtesy of: Samuel Shatzkin, Manhattan Region, IC Press Corps 2016. The crowd roared with laughter as one of the founders of the Israeli Air Force, Gideon Lichtman, recounted his life with blunt honesty and humor. The BBYO community felt a sense of pride and power as the CEO of the NAACP, Cornell Brooks, reminded us of the Jewish people's commitment to civil rights. Both men were honored with the 2016 Stand Up award in heartwarming ceremonies. Particularly powerful were the stories of Mona and Faiza, two 16 and 17 year old refugees from Syria. The girls emphasized the importance of education, a sentiment that was followed by Meighan Stone, the President of the Malala Fund. Meighan Stone, the President of the Malala Fund, speaks to IC 2016 about the value of education and power of learning. Photo courtesy of: Samuel Shatzkin, Manhattan Region, IC Press Corps 2016. Geena Rocero, a transgender model and advocate, and Jayson Olson, a member of Harvey Milk BBYO, spoke of the future of the LGBTQ+ community and reminded BBYO of our commitment to gender inclusivity. Whether the speaker was Dr. Einat Wilf or Oksana Galkevich, the overlying theme of the morning was clear: young people can and will change the world. There is a Hebrew song with the chorus "Ani veata nshanei et haolam"- "you and I will change the world." As we move into our Leadership Labs, we define this idea in a whole new way: "you and I" means young and old. "You and I" means AZA and BBG, "you and I" means African Americans, Muslims, Christians, and Jews. "You and I" means all of us. Opening Ceremonies is always a great time, a culmination of all regions and countries as the entire Order unites as one. It’s truly remarkable to see how much BBYO has grown internationally over the past 3 years. 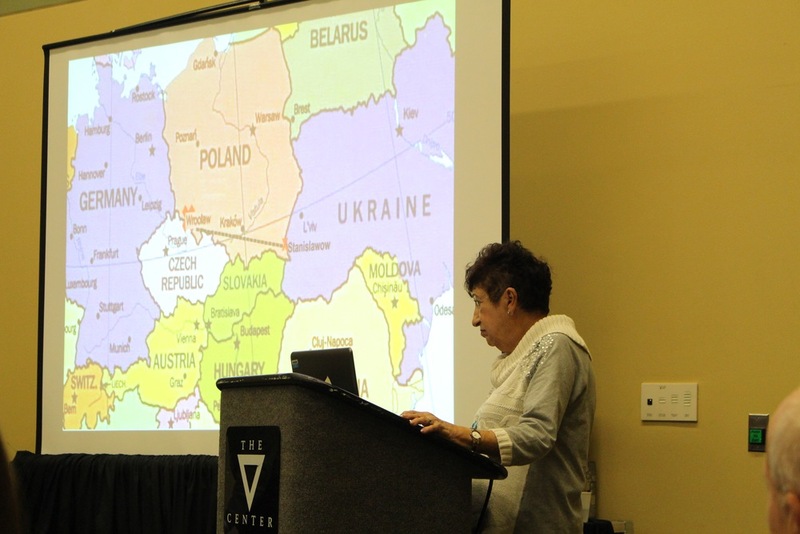 At International Convention 2013 in Washington, D.C., each international delegation only had a few representatives, but now at IC 2016, countries such as Argentina and Serbia have a thriving presence and group at convention. Part of the crowd at opening ceremonies. Photo by Elias Kaerhoeg. Tonight at opening ceremonies, we heard stories from past international board members, AZA and BBG honorees, the International Boards of the Aleph Zadik Aleph and the B'nai B'rith Girls, as well as the Vice President and Designer Fashion Director of Nordstrom’s, Jeffrey Kalinsky. It was amazing to hear how much of an impact BBYO has on people, while providing them with perspective. Out of all the great speakers, the highlight of them all was Israeli Prime Minister Benjamin Netanyahu who directly addressed the IC body via a recorded video. He discussed how much of a difference BBYO teens can have on the world and our communities when we work together. All and all, it was a great night and there are plenty more in store for days to follow. A surprise concert by pop-duo Timeflies kicked off International Convention 2016! Photo by Jason Dixson Photography.